It was only a few weeks ago that TV carried pictures of the little Syrian boy who drowned trying to escape the violence in his homeland. The picture touched the hearts and conscience of people the world over and those with intact homes, especially in Europe, opened up their arms to those seeking refuge from the terrors of warfare. Now, since the attacks in Paris, each day brings news of doors being closed as the demagogues spread fear, doing the work of the terrorists for them. Donald Trump is now suggesting that Mosques in the U.S. may have to be closed and Muslims be registered. Any Syrian refugees coming into this country would be one too many. Apparently he is joining Chris Christie in prohibiting even Syrian child orphans from entering the country. What's even more appalling is how both Donald Trump and Ben Carson stereotype people of certain ethnic and religious backgrounds. This is despicable. Carson is now implying that Syrian refugees will have some "mad dogs" in their midst. So none of them can be trusted to enter this country? What's next, concentration camps? Governors are also getting into the act. Governor Pence of Indiana refused entry to two Syrian families being placed in Indianapolis in cooperation with Catholic Charities. 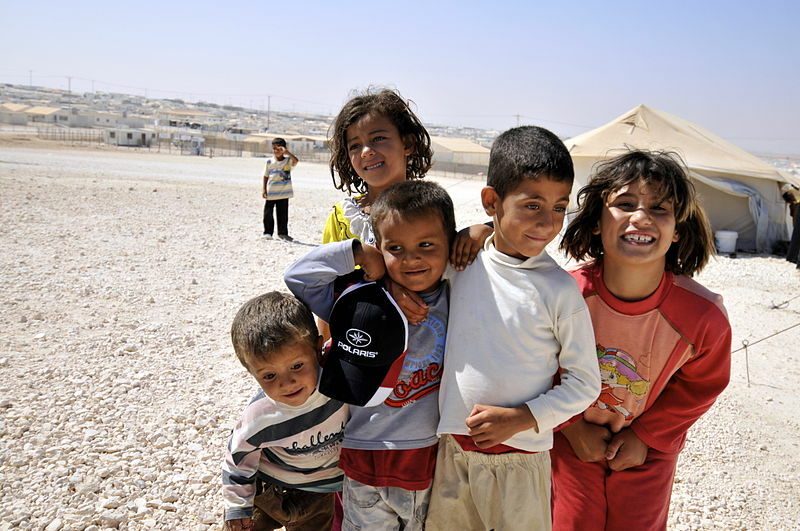 One of the families had been in a Jordanian refugee camp for three years, the norm for many entering this country. It takes that long for them to be vetted, especially with the modest resources the U.S. Congress makes available. Fortunately, the Governor of Connecticut stepped up and welcomed the families to his state. The irony is, these politicians are playing right into the hands of groups like ISIS. 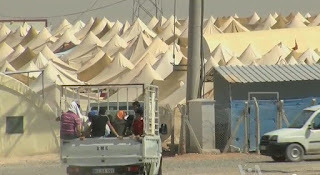 Those in the ISIS camp are terrorists after all, and the most effective weapon terrorists have is fear and division. If only they can pull off some horrific acts like 9/11 and the Paris killings, fear will drive people and governments to do vengeful and stupid things; like try to kill an ideology with bombs and missiles instead of ideas and compassion; like driving wedges of fear between people who would otherwise be neighbors in solidarity. ISIS would love to see Muslims all over the globe persecuted for their religion. What better evidence could there be for their demented holy war ideology. If we were honest with ourselves, we'd admit our government has been creating new terrorists left and right because of the kinds of responses we've made ever since 9/11. Motivated by vengeance and fear, the mirror is now reflecting back on us. I keep remembering how Muslim leadership in Afghanistan offered to put Osama Bin Laden on trial, only to be denied by the Bush administration. Instead, we responded with 14 years and counting of warfare in Afghanistan and the creation of ISIS from a destroyed Iraq. But there are wiser and more compassionate voices out there, almost unheard in the babble of media sensationalism and among all the terrorism "experts." A statement was released by the U.S Conference of Catholic Bishops, distressed by calls from elected officials to halt the resettlement program. "These refugees are fleeing terror themselves — violence like we have witnessed in Paris," said the statement by Bishop Eusebio Elizondo, chairman of the conference's committee on migration. "Instead of using this tragedy to scapegoat all refugees, I call upon our public officials to work together to end the Syrian conflict peacefully so the close to 4 million Syrian refugees can return to their country and rebuild their homes. Until that goal is achieved, we must work with the world community to provide safe haven to vulnerable and deserving refugees who are simply attempting to survive." The National Association of Evangelicals also asked for compassion. “Of course we want to keep terrorists out of our country, but let’s not punish the victims of ISIS for the sins of ISIS,” said Leith Anderson, NAE president. 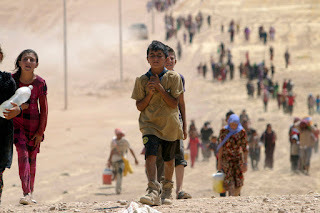 A push by Republican presidential candidates to ban Syrian refugees "does not reflect what we've been hearing from our constituencies, which are evangelical churches across the country," said Jenny Yang, vice president for advocacy at World Relief, an evangelical organization that helps resettle refugees. "Most of the people have been saying we want to continue to work with refugees, that what happened in Paris ... doesn’t reflect who refugees are." And then there are the 18 U.S. mayors who have publicly welcomed refugees to their cities. They know that since 2001, the US has admitted roughly 750,000 refugees and none have been accused of involvement in domestic terrorism aimed at the US homeland. The real problem is, Monday morning after the Paris massacre, war industry stocks in the U.S. rose dramatically. 1.6 billion of military aid is going to Saudi Arabia to continue bombing hospitals and killing civilians in Yemen. And in the U.S., people are afraid. The culture of fear can only birth a culture of death, and death is seldom a considerate and fair minded opponent. The best opposition to a culture of fear and death is the fearlessness of the lover, schooled in a culture of life. A few weeks ago I came home from work to find my back door shattered by a brick and my home burglarized. Many things were missing and it was quite a shock. 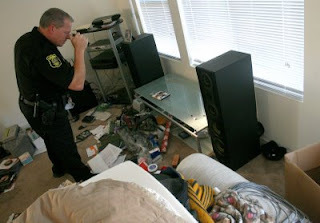 The day of the burglary, the emotion I felt more than anything else was dehumanized. How could someone walk in my house and take my things without seeing that I too was human? As if somehow the labels I had built around me – caring, teacher, good neighbor, ally, hardworking, etc. – should protect me and bad things should only happen to bad people. Ha! Through the course of the investigation I learned that our things had been kept in an apartment just around the corner from my home. Standing in front of these apartments you can see my house. It was a reminder to me that although the physical distance may not be far, the worlds we inhabit can be vastly different, especially in a virtually still segregated South. So my roommate and I are left wondering, how do we bridge that gap? How do we get to know our neighbors? How do we keep from living in fear? 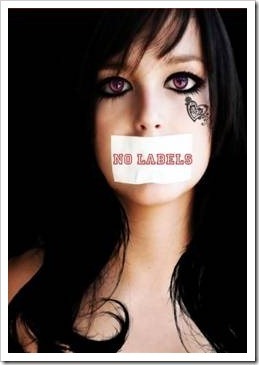 How do we ensure that we treat each other as humans and not as our stereotype or labels? As I think this week about the responses several governors and others around our country have had in response to the Paris attacks and refugees, I see several overlaps. People feel hurt and betrayed by the attacks, just as I felt when my home was burglarized. It is easy then to live in fear. It is easy to say “I didn’t deserve this” and demand retribution. It is easy to close yourself in to only the world you know already. But this response will not bring healing. It will only further dehumanize both ourselves and the perpetrators. I am reminded of a Teaching Tolerance article titled, “There are no bullies, only kids who bully.” In the same way perhaps it could be said, “There are not burglars, only people who burglarize” or “There are not terrorists, only people who terrorize.” Here I am reminded of each person’s unique humanity. Our momentary actions do not need to be our permanent identity. Can we find it within ourselves to look beyond labels of religion or nationality to the human inside each person applying for refugee status? Can we have conversations about how to bridge our misunderstandings? There may be miles separating us and our worlds may be very different, but we all want to be seen as human because in the end that’s what we all are. Last evening the Brookings Inter-Faith Dialogue met at the local Islamic Center. Since we had just celebrated Veterans Day, the theme for the evening was the relationship of religions to war and returning warriors. Two local veterans shared their stories, giving some context for comments from others present. Almost immediately, a third veteran denounced the idea of "holy war," saying no matter what name you give to the divinity, God doesn't ask us to kill each other. Local Muslims agreed, citing the Koran and the conviction that groups like ISIS are misusing and abusing their Scriptures and religion. 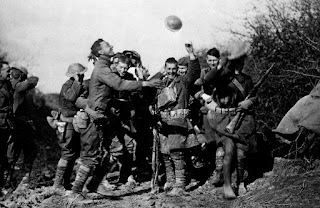 The conversation led me to remember that Veterans Day used to be Armistice Day. It was celebrated at the end of the First World War. Cessation of hostilities between Germany and the Allies took effect at 11:00 AM on the 11th. day of the 11th. month in 1918. It was declared a national holiday and remained Armistice Day till after World War 2. The idea at the time was World War 1 was "the war to end all wars." In establishing the national holiday, the U.S. Congress declared: "Whereas the 11th. of November 1918, marked the cessation of the most destructive, sanguinary, and far reaching war in human annals and the resumption by the people of the United States of peaceful relations with other nations, which we hope may never again be severed; Whereas it is fitting that the recurring anniversary of this date should be commemorated with thanksgiving and prayer and exercises designed to perpetuate peace through good will and mutual understanding between nations …"
Then there was World War 2! Once again, there were celebrations as the "greatest generation" returned. Given the destruction and global character of this war and hope for the future, the United Nations was created in 1945, where the world community could talk out their differences instead of going to war. Armistice Day was changed to Veterans Day in the U.S. in 1954, maybe because we began to understand that we were always going to have veterans to honor because our wars were unending. The other remembrance from the Inter-Faith gathering was a contribution to the Christian understanding of warfare provided by an early theologian by the name of Saint Augustine. He lived from 354 to 430 during a period of time when the Christian empire needed to be defended. So Augustine developed his theory of a "just war." What are the conditions one would have to meet for warfare to be considered "just?" He cited seven, all of which should be met for a war to be considered a "just war". 1. A legitimate authority must make an official declaration of war. 2. It must be a last resort. All peaceful means of resolution must be exhausted. 3. It has to be waged with the right intention; to secure human rights; protect innocent life, etc. 4. There must be a probability of success; the situation after the war should be better than before the war. 5. War must be waged for defensive, not offensive reasons. 6. The means must be proportional to the ends. 7. Combatants must be distinguished from non-combatants. Civilian populations must not be attacked. Obviously, these principles have not been at the forefront in governmental circles of so called Christian nations. Even though they are clearly dated criteria, were they to be honestly followed in decision making, we'd have far fewer veterans to honor and far fewer casualties abroad. For instance: (1.) The U.S. Congress refuses to accept their constitutional authority to declare war. (2.) The historical record is increasingly clear that President Bush intended to invade Iraq from day one; it wasn't a last resort though the administration tried to make it look that way with their "weapons of mass destruction." (3.) You mean Iraq wasn't about oil; Vietnam about ideology? (4.) Fourteen years into the war in Afghanistan, are things better? And Iraq? We'll make things better in Syria with boots on the ground, right? (5.) Why have U.S. Special Operations forces been deployed to 147 countries this year and why isn't the National Guard still guarding the nation, here, in the nation? (6.) Let's not even talk about nuclear war and how the missiles are still aimed and armed. (7.) These days, more civilians are killed in conflicts than combatants. Check the recent documents on U.S. drone strikes and the hospital in Kunduz, Afghanistan. 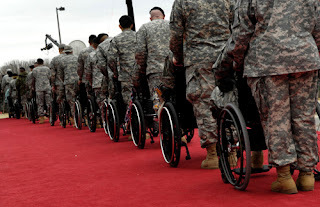 Clearly, veterans should be honored. We honor them best when we provide them and their families with the things they need and deserve, especially when they return home. And we honor them best when we make sure far fewer of their sons and daughters, grandsons and granddaughters, are remembered by memorial walls and fields of white crosses. I had the opportunity to be in the presence of a friend and mentor for close to three weeks this summer. His name is M.P. Mathai and he comes from India. We first met in India in 1982 at the Institute for Total Revolution, a rather formidable title for a rather modest place. The Institute was located in the state of Gujarat on a few acres of land with some simple buildings for eating and sleeping, a large shade tree under which we carried on our discussions and a few rice fields where we leaned how to plant rice. There was nothing spectacular about the site or the circumstances or the participants. But the experience enabled a quiet revolution of perspective and practice in those who were there. Under the thoughtful and loving eye of Narayan Desai, son of Gandhi's personal secretary and founder of the Institute, we learned about Gandhi's idea of nonviolence as a way of life. From the East and from the West, some forty of us, ate, played, prayed, learned and lived together for three weeks. In the concluding evaluation of the program, Narayan praised the way the group cared for the sick. He saw this as the most meritorious indication of having learned nonviolence. In essence, nonviolence for him was about a life of service. How hard it is to open the mind to the reality of a different way of being in the world, without violence. Even in a society that calls itself Christian and takes as a model one who suffered and died on a cross for others, without violating anyone, even praying for those who put him there, we can't seem to believe one can live in a world without violence. 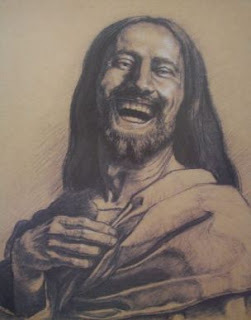 In the U.S. we put Jesus at arms length, as people in India put Gandhi at arms length, as if treating people with respect and love, healing the sick and touching the lepers is only possible for God men or those far holier than us. And in our disbelief, even despair, we fail to look deeply into alternative methods of resolving conflicts without resorting to threat, coercion, harm and violence. Lately I've been questioning whether human beings are inherently rational beings. We seem to make all these irrational choices, like expanding and updating nuclear weapons arsenals or promoting oil drilling in the Arctic, all threats to the future of life on the planet. So being with and hearing from the likes of an M.P. Mathai give me hope for the future. For he is able to communicate a clear and hopeful worldview of Gandhi, who has thought through the dynamics of violence and nonviolence and charted a path toward a less violent future. If only more would follow. Mathai came to the states to participate in the first Satyagraha Institute. Some forty five people joined him in the Black Hills to learn more about Gandhi's worldview and his understanding of nonviolence. The program included knowledge about the theory behind nonviolent social change; skill building in conflict resolution; opportunities for deepening the inner life through meditation, prayer and yoga; and the broadening of one's sense of community across all those barriers of race, class, gender, orientation, culture and country that separate us. One day the Institute participants visited Ellsworth Air Force Base to visit the Air and Space Museum and learn about the nuclear mission of the base. And then the group refurbished the peace and ecology symbols at the end of the runway with a new coat of paint and replaced the poles and flags on a Native American prayer wheel, all in the hope that the planes coming and going would never again release a nuclear weapon. On the last day of the program the group went to Bear Butte, a sacred site for many native nations. As one walks the trails there, one sees many prayer flags blowing in the breezes and tobacco ties left by Indian people. There are even stones lodged in the crooks of the trees carrying prayers for those who left them. That's my favorite symbol for an eternal prayer at Bear Butte. One puts the prayer in stone and as long as it stays in place, the prayer is offered into the heavens. There's a great hunger on our lonely planet. It's not just for food that sustains the body. It's also for food that sustains the Spirit. And we need to reclaim those teachers like Jesus and Gandhi who have shown us a path of selfless service and suffering for others, modeling effective and nonviolent methods of social change. Before he left the country Dr. Mathai spoke at our public library on "Jesus and Gandhi," the title of a new book he is writing. 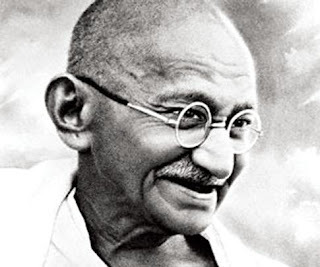 He is convinced from his scholarship that the life of Jesus was the most formative influence on the life of Mahatma Gandhi, the cross the most formative symbol and the Sermon on the Mount in the New Testament one of the most significant writings. Both of these teachers, Jesus and Gandhi, are more relevant in our time than they were in past ages and their ideas are as fresh, though ignored, as ever. Let's resurrect them! 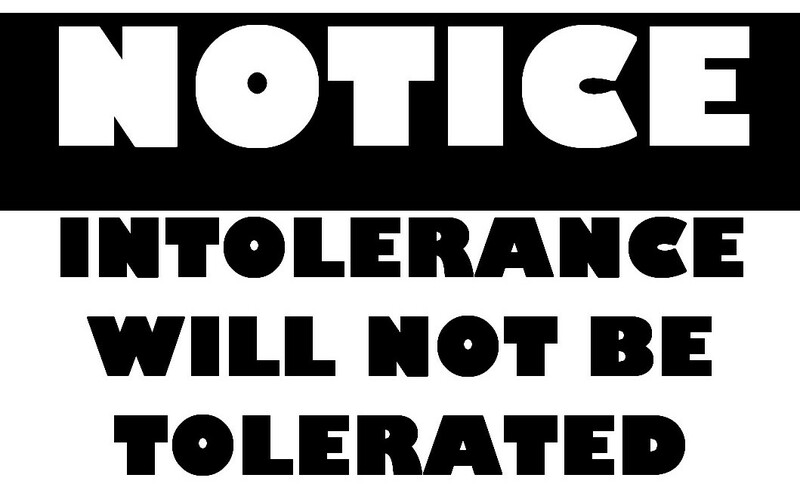 We hear all the time that we need to practice tolerance. We need to tolerate different races, religions, ethnicities, sexualities, and so on. While tolerance is a virtue and necessary for a peaceful society, we will not achieve true peace until we begin to preach acceptance. Tolerance promotes the fair treatment of an individual; it prevents discrimination and bigotry. Acceptance, though, goes further than tolerance. When you tolerate something, you are saying you can put up with a certain behavior or certain viewpoint. Acceptance, on the other hand, means you welcome a certain behavior or viewpoint, even if it is different than your own. 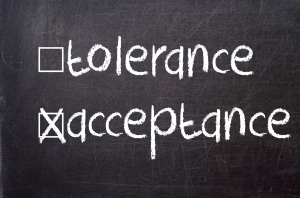 You can have tolerance without acceptance, but there is no acceptance without tolerance. You may be wondering why it is so important that we change our framework to preaching acceptance rather than tolerance. Why must we accept another’s views that are different from our own? Isn’t tolerance sufficient? Tolerance is a good step, and a step that many people in our society still need to take, but the world we live in is filled with differences. There are cultural differences, religious differences, ethnic, national, and historical differences; there are racial differences, ideological differences, and the list goes on and on. Instead of saying "I can put up with this viewpoint or behavior or race that is different from my own” it is imperative that we begin to think “I will accept this viewpoint or behavior or race that is different than my own.” Some people may think if you accept someone else’s difference you are conforming to it. That is simply not the case. We can accept that someone has a different view on something without conforming to these ideals. Accepting the fact that someone has a different outlook than you does not only promote peace, it promotes freethinking and the betterment of society. If we are able to accept that a person’s opinion is different from ours when we are challenged with a different idea, we are not only open to new perspectives, but we are able to strengthen our own convictions through discussion. This is an extremely important aspect of development and one that modern political philosophers have long advocated. Next time you hear a politician or leader talk about tolerance, commend them, but push further. Preach the practice of acceptance. Do not stop at “I can put up with this” but try “I am welcome to new ideas, cultures, religions, etc.” By pushing for acceptance, we are pushing for a world that is open, a world that is free, and a world that lives in peace. Once we begin to accept that others have views we do not agree with and realize that that is okay, even good, we will begin to understand the true meaning of peace.